Aloe vera is a soothing beauty ingredient which helps keep your skin healthy and repairs damaged one with its healing properties. The good thing about aloe vera is that it can be used by people of different skin types. It can also be used in various forms – as a gel, oil, juice, the whole plant and in creams, soaps and tablets. So reap in the benefits of aloe vera by making these DIY face packs as per your skin type. Its anti-inflammatory properties help in treating blemishes, acne and other skin problems. A minor cut or wound, a burn or a rash can be effectively treated with aloe vera. The gel is extracted from the leaves of the plant and when applied to the skin, softens dead skin cells leaving the skin feeling soft and smooth upon regular use. It also delays visible signs of ageing like fine lines and appearance of wrinkles. 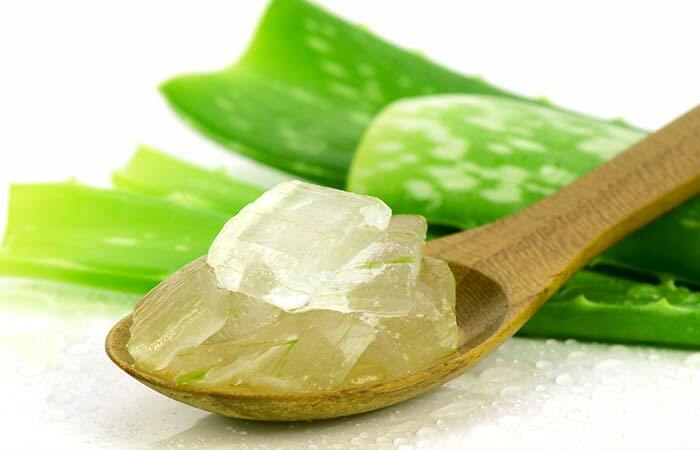 Aloe vera or aloe-based products come in handy in summers as well as winters. Its cooling properties provide instant relief from sunburns in the summer by hydrating the skin and in winters, it helps get rid of dryness by adding moisture to the skin. People with normal skin can use aloe vera gel without worrying about any side-effects. Use it daily to keep your skin in good health. This is a good pack to keep your skin looking smooth and supple. Take one tbsp of aloe vera gel and mix it with one tbsp of gram flour (besan), one tsp of orange peel powder and some curd. Apply this pack on your face and neck, avoiding the area around the eyes. Wash it with water after 30 minutes and pat dry the area with a towel. Oily skin is usually prone to acne and regularly applying this face pack can do wonders for your skin. Follow this treatment once every week to get clear skin. You can even try these home remedies for oily skin. Boil aloe vera leaf with water and then grind it into a paste. Now add a few drops of honey to this paste and apply it on your face. Rinse it off with cold water after 15 minutes. Dry skin often lacks moisture and the effects are easily visible. To counter this, apply this face pack every night. 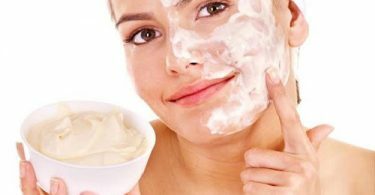 Read about these lesser known causes of dry skin. Mix aloe vera gel with olive oil and add some shea butter to it (you can add shea butter creams also). Mix it well till it forms a thick paste and then apply it on your face and neck. Keep the pack for at least 20 minutes and wash your face with cold water to lock the moisture in your skin. This pack is very mild and does not cause any irritation but clears the skin of dirt and impurities. Skin experts recommend using aloe vera for this skin type. Here are some more home remedies for sensitive skin. Take aloe vera gel and add cucumber juice and curd to it. Mix it well to form a paste and add 3 drops of rose water or any essential oil to it. Keep it for 15 minutes on your face and neck and then wash it with water. If you want to get rid of sun tanning, apply aloevera gel mixed with lemon juice on the affected area for 10 minutes. Alternatively, if you want to get rid of pigmentation, mix rose water instead of lemon juice and wash off with cold water. While a lot of aloe products are available in the market these days, one can even plant it at home and reap in the benefits from its juice and gel. But if planting it at home isn’t possible, get an aloe vera based gel and use it for your skin. Buy moisturizers, lotions and creams which have aloe content in them. Aloe vera is a natural remedy for various skin problems so make good use of its beauty benefits. 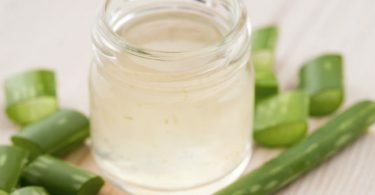 Know these Aloe Vera Gel benefits for face and skincare.